Cynthia is a lifetime Nevadan, native to Reno and proud of it. She envisions Bugs and Butterflies as a way to create a lasting impression on her community using one of her favorite living things- butterflies! Cynthia earned both her Bachelor’s and Master’s degrees from the University of Nevada, Reno. Her Master’s research looked at interactions between the local butterfly species Melissa Blue, Lycaeides melissa, the parasitoids that attack it, and the ants that defend it. This research highlights just how many species can interact with each other on a single plant, and inspired her to share this complexity with others. With so many strange and beautiful insects in the Truckee Meadows and the rest of Nevada, Cynthia is excited to showcase some of the diversity in your own back yard. In her spare time Cynthia enjoys cooking, spending time with family and friends, hiking with her border collie, Sage, and exploring the wild lands of Nevada. Originally from northeast Ohio, Kevin is a Nevada transplant, having lived in Reno for 7 years. 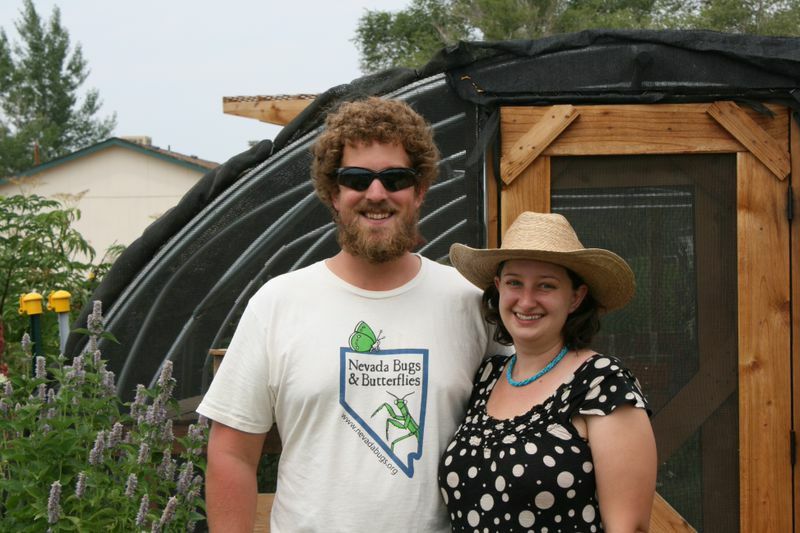 Kevin earned his Ph.D. in Ecology, Evolution, and Conservation Biology from UNR in May 2014. Moving originally for graduate school, he is staying for the beautiful country and great people. Kevin’s passion for insects stems from their amazing diversity- such simple organisms that have such a wide array of functions in ecosystems on every continent! Kevin hopes to use Bugs and Butterflies as a way to make both kids and adults as excited about science as he is, as a way of viewing the world around us and understanding the complexity of ecological systems. In his spare time, you might find Kevin skiing down Mt. Rose, growing veggies, scouring the Great Basin for hot springs, or just simply enjoying the wonderful Nevada sun. Executive Director: Kevin Burls, Ph.D.